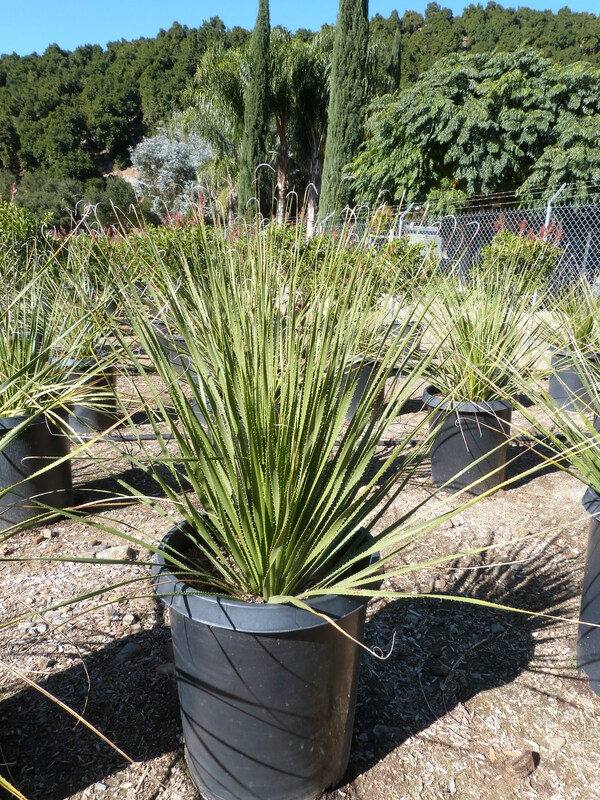 Looking for an architectural, evergreen shrub for modern or drought tolerant landscapes? Green Sotol is an attractive and low-maintenance choice. Plants grow very slowly into a mounded form with thin, long, rigid leaves that grow out of a short, thick trunk. The ends of the foliage feature wispy fibers that offer a softly moving effect in the landscape. In late spring and summer, white flowers bloom off of a spiked plume that grows to 15-feet tall. Green Sotol’s blooms attract pollinators such as butterflies and bees to the landscape, as well as hummingbirds. Though very drought tolerant, it does require well-drained soil to thrive and will succumb to rot if left in soggy soil. Green Sotol is tolerant to most pests and diseases. Plant in full sun along with other sun loving shrubs and perennials such as Agave, Yucca, blooming lantana and Texas sage.